Categories: All, Collection, Mens, Women. 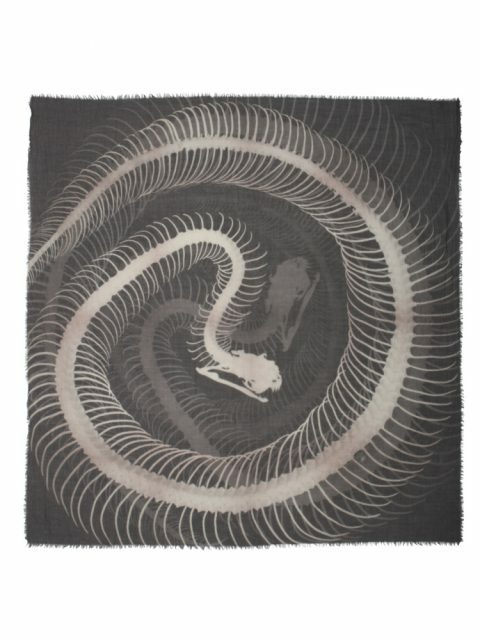 This super-sized wool/cashmere scarf depicting the scales of a serpent in a kaleidoscope pattern, is rendered in monochromatic tones ranging from dark charcoal to pale ivory. The hand-fringed edges and soft washed finish completes the tough luxe look. 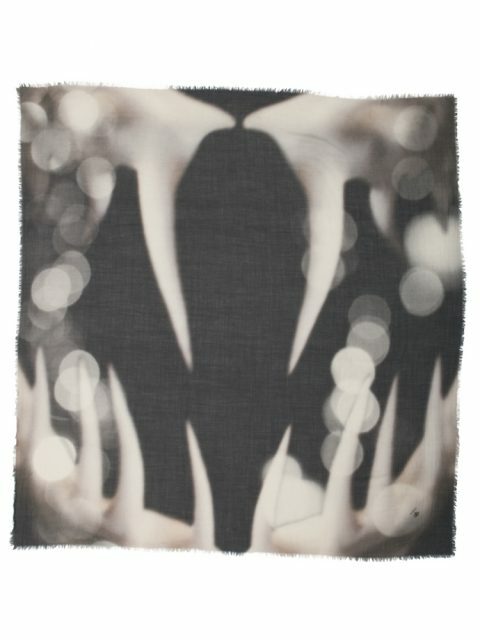 Housed in a beautiful designer envelope, it also makes the perfect gift.